You don't have to have a camp fire to make S'mores. All you need is a microwave. Microwave the marshmallow on a microwave-safe plate for 10 seconds. On a different plate, melt the chocolate square on the Graham cracker for 30 seconds. 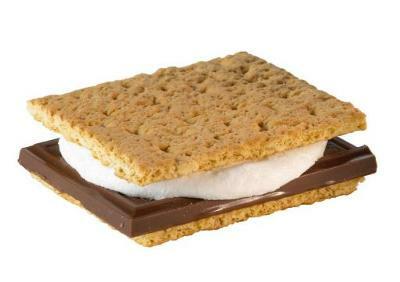 Put the cooked marshmallow on a the Graham cracker with the melted chocolate square on it. Put the regular marshmallow on top of it. ENJOY THE BEST MICROWAVE S'MORES IN THE UNIVERSE!